Bertsch Nantes Pavilion : The Bertsch Nantes Pavilion is an octagonal summer house pavilion. 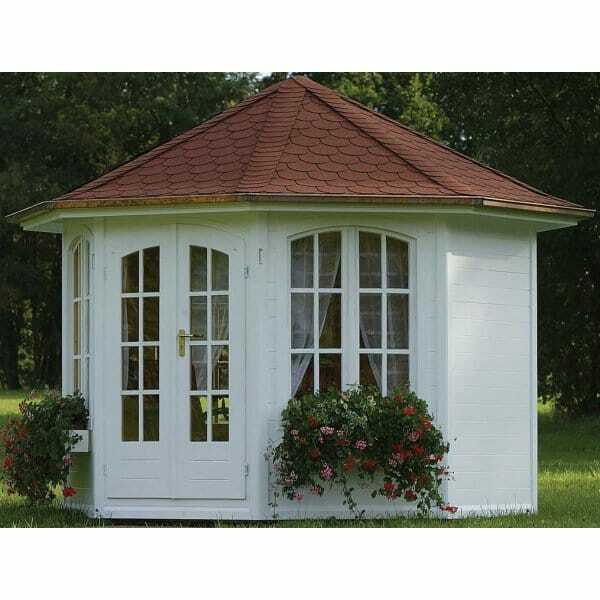 The double doors and four large double windows ensure it is light and airy for working in and makes it a fabulous garden summerhouse for relaxation or entertaining. As with all Bertsch log cabins, summerhouses, and garden buildings, you can choose to have it factory painted, add roof shingles, add window boxes and shutters, or even exchange the windows and doors style if required. This Summer House is available to buy from Simply Log Cabins.